What a week, I am ready for Friday. Lots going on at work, but things are back to normal at home with Miko enjoying plenty of cuddle time with hubby. 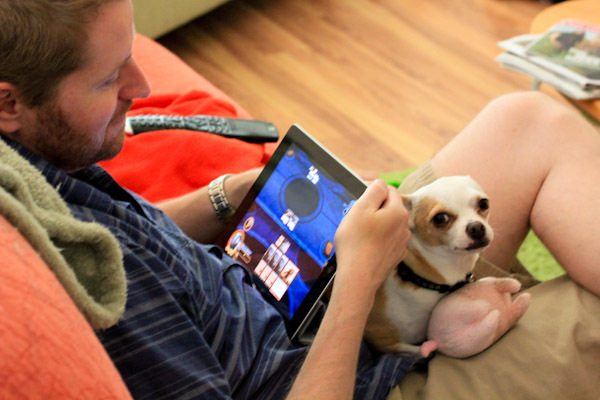 And being his little gaming buddy. Busy weeks can be a bummer for me since I don’t have as much time as I’d like to be creative in the kitchen. 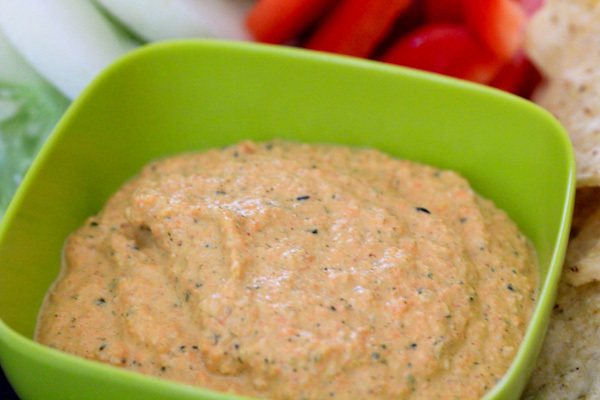 But last night I had a casual appetizer style dinner to try out a new tahini dip recipe packing a lot of protein from hemp seeds and a savory tang from the ginger and garlic. 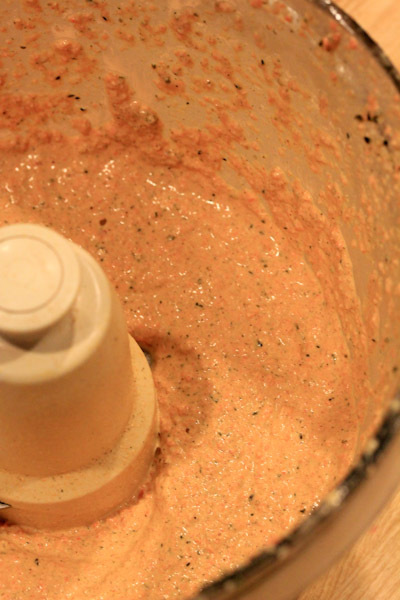 Place all ingredients into a food processor and process into a creamy paste. Serve and enjoy. Makes 4-6 servings. 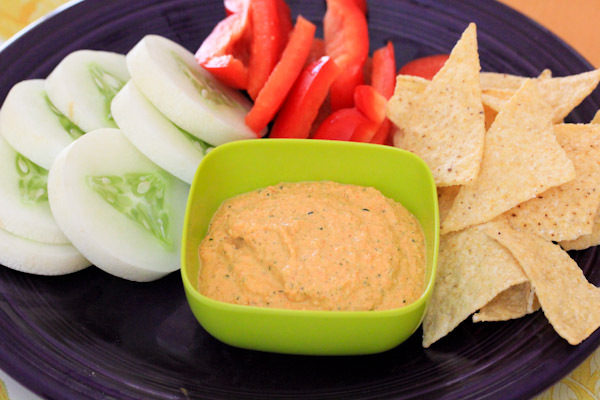 The texture is thick and creamy, hummus-like and perfect for spreading or dipping. You can add a little more water or use less hemp seeds to make it a salad dressing. I served it with tortilla chips and chopped veggies for a simple, but filling dinner. The flavor is a great blend of sweet from the carrots, but tangy and savory with a rich creaminess. 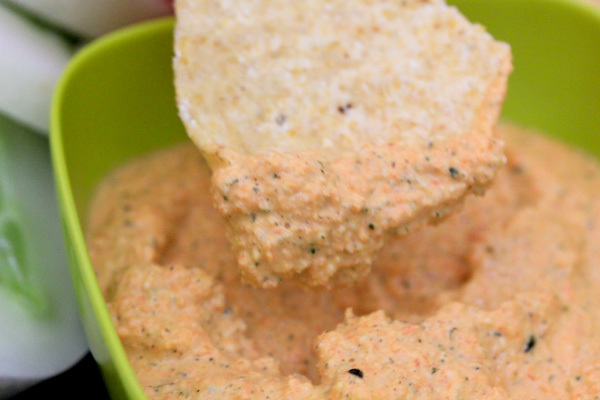 Versatile for parties or just make a batch to snack from in the fridge.